Face masks at home with turmeric are very helpful to treat a number of skin conditions, such as dark spots, blemishes, acne, pigmentation, wrinkles, stretch marks, and cracked heels. Turmeric (also called curcumin and haldi) has been used traditionally as a beauty treatment in India. It helps to balance and restore skin's natural pH level. It slows down the skin's aging process, heals dry skin, and makes skin supple. Turmeric is also good for acne as it is a natural antiseptic. Read more to get familiar with turmeric face masks at home and learn about the several beauty benefits of turmeric on the skin. In India, a mixture of turmeric and gram flour is applied to the bride and bridegroom on the morning of the wedding day, so they will have a golden glow on their skin at the time of the wedding. 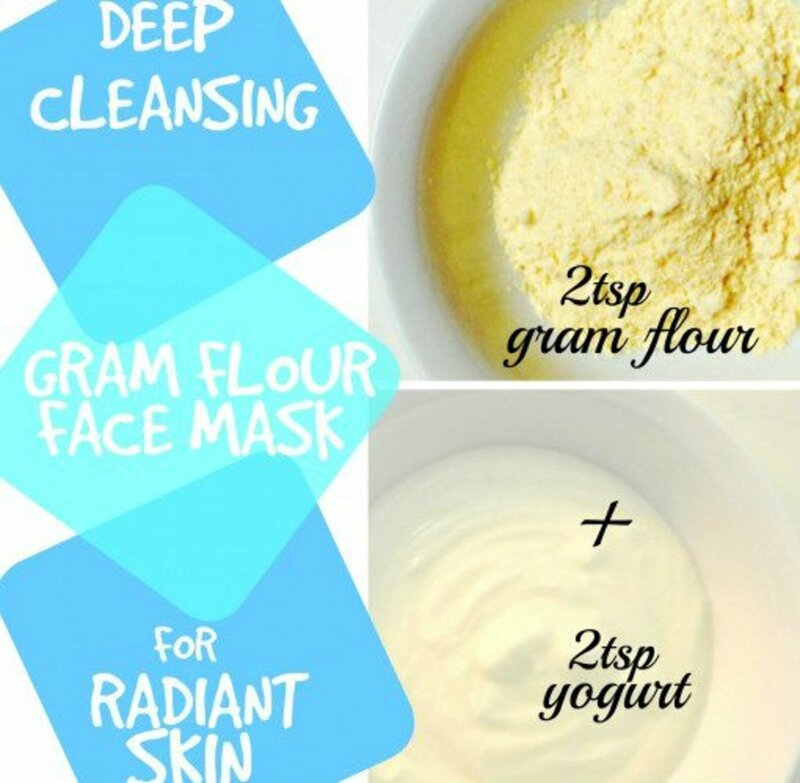 This face mask twice a week will add a natural golden glow to your facial skin. Add two teaspoons gram flour (also called chickpea, garbanzo, or besan flour) to one teaspoon turmeric powder. Now mix with three or four teaspoons of yogurt. Mix well, and apply to the face for 20 minutes. Gram flour is particularly good for oily skin, but if you have dry skin also add ground oats to make your dry skin smooth. Yogurt with its antioxidant properties helps protect the face. Turmeric and gram flour make a great natural scrub, which removes dead cells from the skin very gently. Mix gram flour and turmeric powder in equal proportions and store it in a bottle or jar until needed. When you wish to do a scrub, add two tablespoons milk. Apply to the face evenly and rub in a circular motion for 10 to 15 minutes daily, to get a glowing and bright complexion. Using turmeric and honey together on the face reduces blemishes, scars, dark spots, hyperpigmentation, and discoloration of any kind. 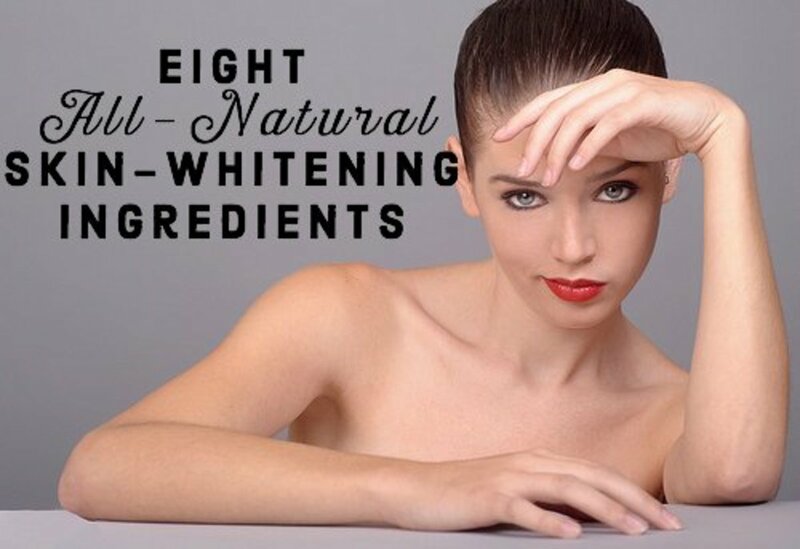 It is one of the best natural remedies to get clear and clean skin. One teaspoon of turmeric powder mixed with one tablespoon of raw honey makes a brilliant face mask at home. This facial mask is very beneficial for dry skin, and regular use of this turmeric mask improves the skin’s elasticity, thus reducing wrinkles on the face. 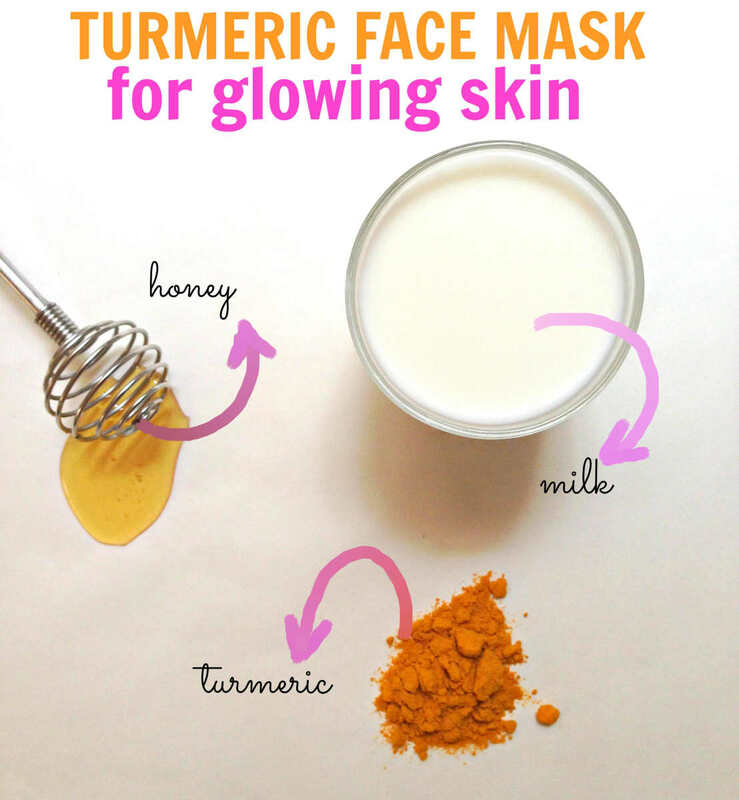 Milk and turmeric together make a great natural face cleanser. Turmeric has antiseptic properties that protect the skin from daily damage. A turmeric-and-milk face cleanser removes germs and pollutants from deep inside the pores, leaving the facial skin fresh and clean. Turmeric's high antioxidant properties make it special for beauty and health both. Drinking turmeric milk is good for many health problems as well as for skin ailments. Turmeric milk has the potential to increase the body's immunity and disease-resisting power. Boil one teaspoon of turmeric in a cup of milk for 10 minutes. Add sugar or honey to taste. Do you feel face masks at home are effective for skin problems? 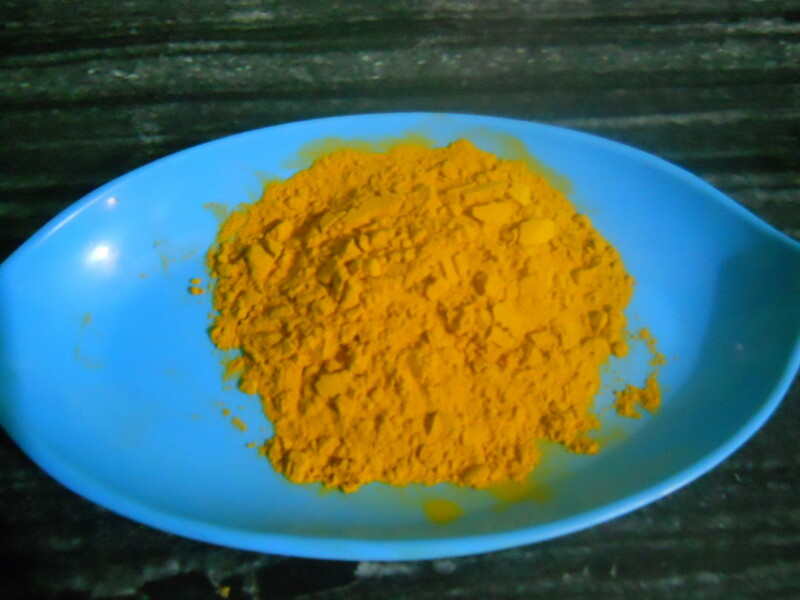 A turmeric face mask can be used to remove facial hair naturally. This mask will remove thin, light hairs without causing irritation or redness on the face.Make a thick paste by mixing turmeric, water, gram flour and a few drops of mustard oil. Let it dry on the face for five minutes and then rub this turmeric paste slowly to pull away the facial hairs. Remember you have to scrub off this paste in the opposite direction, gently. Turmeric has healing properties; it is one of the best treatments for cracked heels. Mix three teaspoons of turmeric powder with a few drops of coconut oil or castor oil. Wash your feet and pat them dry. Apply this turmeric home remedy for 10 to 15 minutes to get relief from dry, cracked heels. Turmeric is good for acne, particularly for oily skin, due to its anti-inflammatory, antibacterial and antioxidant properties. It can be applied and taken orally on a regular basis. Turmeric milk can be drunk to treat acne or any other skin ailment, as turmeric is a blood purifier with lots of healing properties. Turmeric face masks made at home are effective in reducing redness and swelling caused by acne, pimples, and other skin infections. Mix all the above ingredients to make a face mask of a consistency that can be applied easily. Add some more milk if you find the paste thick. Apply this directly on your face. Leave on for fifteen to twenty minutes and scrub gently. Wash off. Because this face mask doesn't come off easily, apply only a thin layer. If a yellowish stain remains, don't wash with soap or any face wash. Take some gram flour on your palm and make a paste by mixing some milk and water into it. Rub this scrub on your face gently and then wash it off. 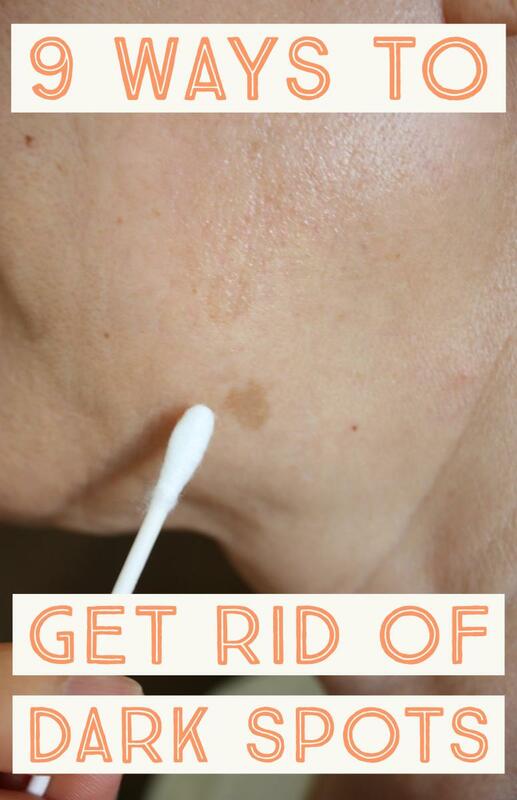 Your face will be glowing as never before. Losing stretch marks can be easier with the regular use of a turmeric-and-yogurt mask. You can lighten the appearance of stretch marks or stomach scars by using turmeric on them consistently. Turmeric face masks have been used for centuries by women in Asian countries for glowing and gorgeous skin. Turmeric's numerous beauty benefits for the skin makes it a wonder herb, helpful in preventing the aging process, treating inflamed skin, minimizing large pores, treating acne-prone skin, and many more. Do try these easy face masks at home to treat yourself and make your skin problem-free. Lemons have many benefits for the skin and face, and they are cheap and easily available. 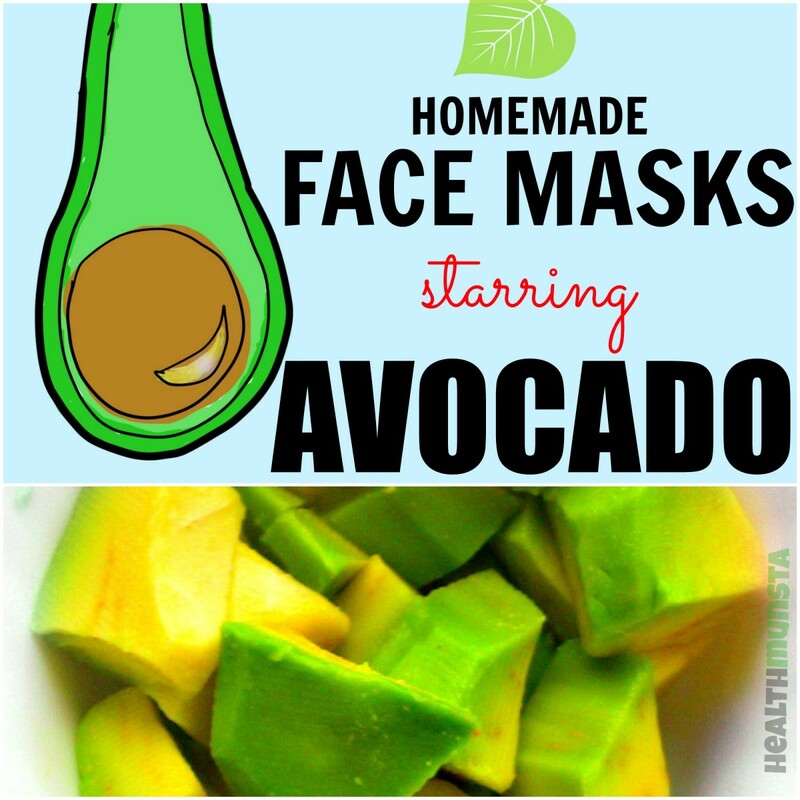 You can make lemon face masks at home to treat acne, scars, blemishes and pigmentation. Homemade oatmeal face masks are very popular because of oatmeal's cleansing, exfoliant, and moisturizing properties. Honey face masks are popular because of several skin benefits honey offers. Honey is good for you, either taken internally or applied topically to the skin. How long would it take the gram flour, yogurt and turmeric mask to get rid of acne marks? Where can I find Turmeric powder ? How long does it take for the turmeric and lemon paste to clear the dark spots on my face to work? Today is my first day to use the paste. I had ance dark mark how to get rid of it please help me out of it. Any problem for daily applying turmeric with honey on face? I have recently used a mixture of turmeric powder and milk to remove pigmentation. It is helping. Thank you for your article. I have heard that Turmeric + yougurt + Gram flour will remove facial hair, i want to remove my beard..
if yes How long should i use this paste to get rid of beard?? Wow! I knew of the many health benefits of using turmeric in food, but I did not know about all these other skin care benefits. Great article! Thanks for sharing. Hello Neha, I will try using milk to remove the yellowing of turmeric on skin. Thanks. Hello younhopes, Thanks for the comment. There is a possibility that turmeric face masks does not suit your skin. Everyone skin is different and one has to find the right mask that suits his or her skin type. You are right Turmeric face mask do not came off easily, you have to smear a thin layer on face of this mask. To remove the stains and yellowish color from face, just wash your face with gram flour or clean your face with milk. Hi dialogue, Thanks for stopping by, I am glad you find this turmeric face mask at home article useful. I will surely add some photos to this to make the write up more relevant. Interesting hub on turmeric. Heard it was good to eat regularly...I put the powder in a shaker, like salt and pepper and use it regularly on my food. Have not tried any facials with it, but it may be too yellow on my skin. Hey Neha, the hub was well written with good info. Informative hub, add some relevant pics to make the same more attractive. Thanks for a good share.